The journey from Quito in Ecuador to Rio in Brazil along the Northern Trail is very much the road less travelled in South America, away from the popular southerly route through Peru, Bolivia and Argentina. This journey takes you to the continent's northern gems - the emerging travel destinations of Colombia and Venezuela. These are countries of outstanding natural beauty, from the pristine beaches of the Caribbean coast to the striking mountainous landscapes of the Andes and the table mountain tepuis in Venezuela, home to the spectacular Angel Falls. Opportunities for adventure abound here, from trekking to Colombia's Ciudad Perdida (Lost City) to exploring Venezuela's Lost World around Mount Roraima. Reaching Rio requires an epic overland journey through Brazil, either inland through the Amazon (via Manaus) and the Pantanal or along the coast with its stunning beaches, historical towns and the vibrant cities of Salvador de Bahia and Rio. 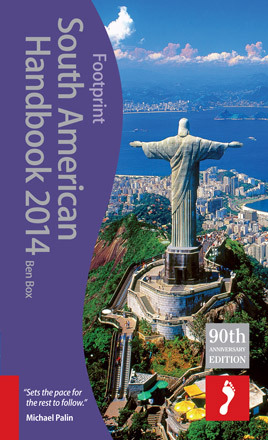 Interested in exploring more of South America? 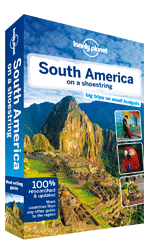 Then check out the Gringo Trail, Along the Andes or Across the Southern Cone journeys. The northern route from Quito to Rio takes you away from the crowds to explore the natural and cultural highlights of Colombia and Venezuela before travelling through the vast lands of Brazil to reach Rio on its south-eastern coast. 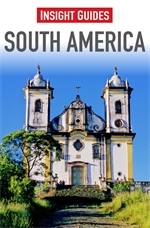 This route along the north-western tip of South America allows for exploration of northern Ecuador and western Venezuela, in addition to an in depth look at the emerging destination of Colombia, including its vibrant capital Bogota, historical towns like Cartagena and its many beautiful national parks. This route from Caracas on the continent's northern tip to Manaus deep in the Amazin rainforest allows exploration of Venezuela's stunning natural landscapes including the wildlife and ranches of Los Llanos, the Lost World atop the tepuis table mountains and the world highest waterfalls, Angel Falls. The long journey from Caracas to Rio crosses over half the continent and takes you through Venezuela's Lost World, the vast Amazon Rainforest, the continent's best wildlife spotting in Los Llanos and the Pantanal and Brazil's vibrant and historic coastal towns and cities. This route explores the best of the north of the continent, connecting the Andes to the Amazon via the spectacular cultural and natural highlights of Colombia and Venezzuela. Author(s): Regis St. Louis, Greg Benchwick et al.